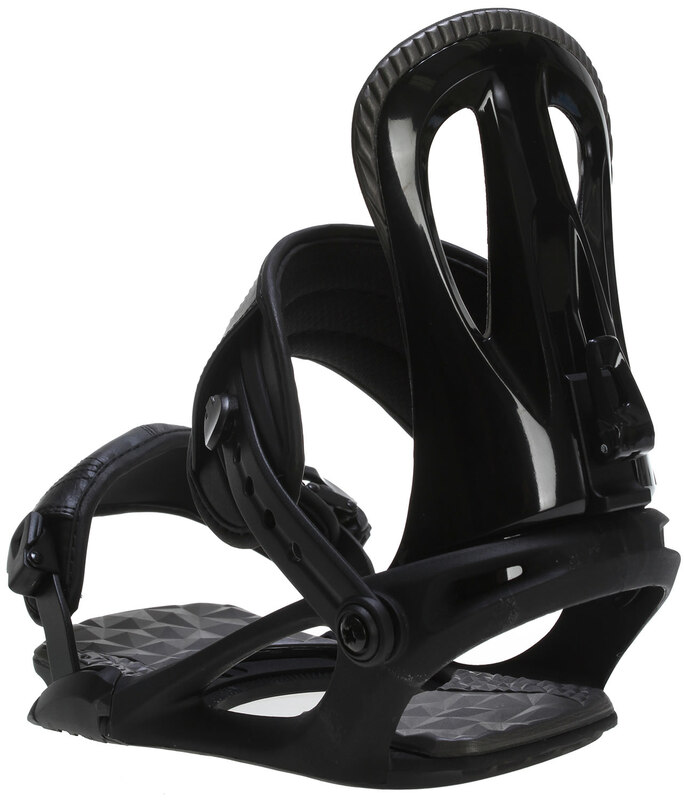 The Head NX One Snowboard Binding is a great pick for those who are heading out to the mountain for the first time! These all-mountain bindings feature a beginner friendly tool-free setup, with lots of adjustable options. Change it up to your exact boot fit or decide just how much forward lean you'd like. Not only are they adjustable but they have a forgiving flex pattern, vibration dampening cushioning from an EVA base, and 3D Comfort Straps, which reduce the pressure on your boot. So we've only got "One" question, what're you waiting for? Great bindings. All you need. I'm halfway through my third season with these bindings and I couldn't be happier with them. The toe strap folds out of the way so they're super fast and easy to put on. Even after riding in them for almost three seasons at least 3 times a week the ratchets still work perfectly and I don't feel any discomfort from pressure points because the fit is extremely adjustable. I think these bindings are fantastic, especially for the price. Great binding but if you have 11 1/2 foot look at my review! 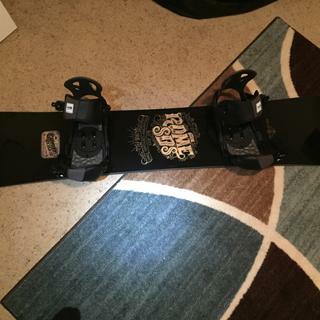 So I am a size 11 1/2 boot size and I took a risk getting the larges if I wasn’t lazy I would have sent them back and got the x-lg other than that these are nice bindings I wouldn’t trade the binding in just the size but it comes with a leash and a stomp pad that I didn’t use just throwing that out there! It’s got good flex and the toe exemption is nice I’d be f**** if the binging didn’t have that feature great padding under your boot! Just an all around good and good price binding! Cannot beat these bindings for the price! For the price that you get these bindings, you just can't beat it! They work just fine, nothing fancy, but very good solid bindings. If you are looking to save some money than these are the bindings for you! My boyfriend thought they were so comfy! Cheapest bindings around. Work fine. Great bindings for my backup board. Will be excellent for teaching people on. Decent reviews, needed something sturdy and economical. It was a cheaper binding and looked pretty good. But having problems with my back binding not staying in its place. because dicks sporting goods wanted to charge me 119.00 for the same ones and they didnt have any coupons and you guys did good job!!! Cheap, solid bindings (for the price). You get what you pay for. If you are only going boarding two or three times a year then these will work just fine. Looks like a nicely padded, easy-to-use pair of bindings. Hello I ordered the large bindings and I’m not sure if they will fit my 10.5 chamonix lonogan boots they might not be wide enough? BEST ANSWER: Thanks for the responses! They should work, but if in case they don't check out our return/exchange policy so we can set you up with the right pair! The Large binding should work with most 10.5 boots. 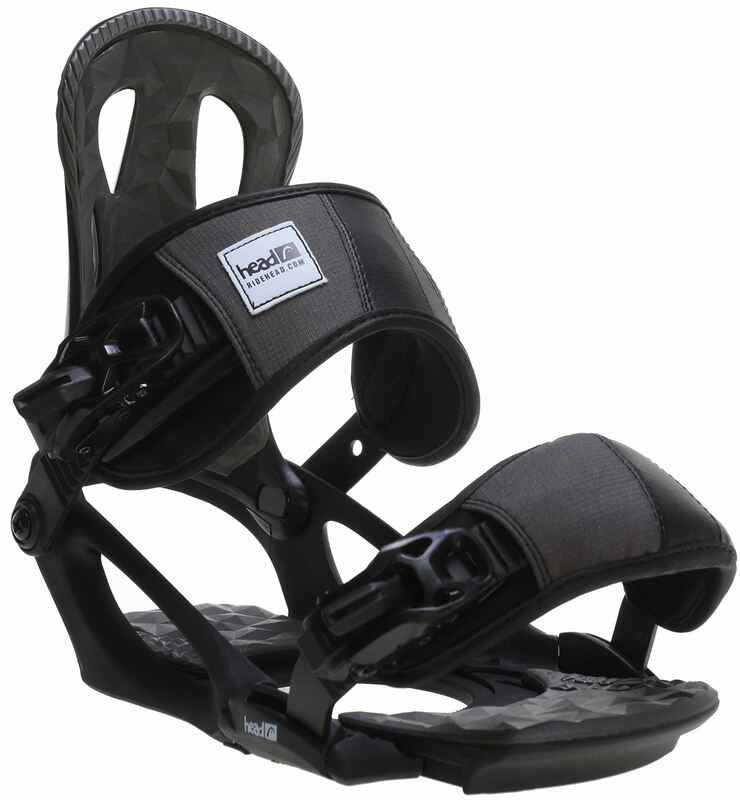 These bindings have an adjustable toe and ankle strap so that you can micro adjust the straps. Each snowboard boot is different, but it should work. Is there any chance it won’t work? There is always a chance it won't work. I have never seen the Chamonix snowboard boot, so I don't know how big or bulky the boot is. However, it should work regardless. I have a 10.5 boot and they fit great. Do these bindings come with the plates and hardware? Yep.. they will come with the plats and screws. This binding will be compatible to the 4-hole mounting pattern (2x4 and 4x4). 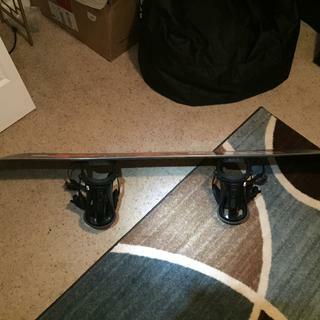 Will these bindings work on a 161cm (w) Rossignol Circuit Amptek Wide Snowboard ? Yep... these bindings will be compatible to your Rossignol board. Yes absolutely. I mounted them on a LibTech 160 and they work just fine. Yes they should work. I have a 159cm wide morrow and they work perfect. Does the toe strap cap the end of the toe or go over the top. Or both? BEST ANSWER: I've used the strap over the top multiple times but today I used it on the toe and felt amazing. So I'd say both preferably toe though. You can use it either way. I'm more comfortable over the toe. It's a matter of what makes you comfortable. Nice bindings , i would definitely buy them again. It does either I prefer the tip of the toe but as I said you can strap it down both ways! Happy shredding! Both. However, it is much more comfortable at the end of the toe. You can use it for both, toe strap or traditional. I would say both. They are very nice bindings. Will these bindings work on a Lamar board? dumb question: when you order does it come with 2 bindings or do i need to order 2? BEST ANSWER: No such thing as a dumb question, we are asked this quite a bit! But fear not, you will receive a pair of bindings, one left and one right! one order comes as a pair, so two bindings for left and right foot. They come as a set. Same as a pair of shoes. Will these bindings work on a burton ripcord snowboard? D is correct.... these bindings use the standard 4-hole pattern and will not be compatible to the Channel. No sorry bro these will not work with a Burton 3 hole disc pattern or a channel system. These Head bindings are only compatible to the standard 4-hole system.... basically no, they will not be compatible to most any Burton snowboard. No, Burton uses a three hole insert system or slider system. This binding will only work on a regular 4 hole insert pattern board. I Snowboard about 3 times a month from November to March, park and mountain. Would these be good low cost bindings for me? Will they fit my Avalanche Source Snowboard? D's answer is good. These are good simple bindings and will indeed be compatible to your Avalanche snowboard. Yes they will work on your Avalanche board and they are great for park and all mountain. Super solid binding. Will these fit a dc board? BEST ANSWER: Yes they will. I’m a size 9. Will these be to big ? I have an left over foam pad that is about 4 x 3 inches. What is this for? This was with the screws for the bindings. BEST ANSWER: The foam pad is called a "Stomp Pad". The Stomp Pad is for traction then your back foot is out of the bindings while pushing around in line for the chair lift. The Stomp Pad has an adhesive backing (like a sticker), and should be placed between the bindings closest to the back binding. Will these fit a Sapient Guide size 14 boot? The Sapient Guide in a 14 does fit in this binding. That boot has a really big shell, so it is a little tight in the heel area, but it is totally fine and does fit! What year are these bindings? is there a product number? BEST ANSWER: These bindings are 2013, 2014 and 2015. Head Snowboards had these bindings in their line for 3 seasons. These Head NX Bindings are from 2016. Will these bindings work with the Burton ripcord? It is a little tough without seeing it... there were some interesting patterns back in the day. That said, what you are describing seems to be the standard 4-hole mounting pattern (4x4) which would work with these bindings. Look here: http://www.the-house.com/portal/snowboard-binding-hole-patterns/ If this seems wrong simply reply with the specific brand and model of your board and I can be a little more specific. If I have a size 11 boot should I get large or xlarge? BEST ANSWER: Either one would work. You are right on the fence. If your boot is a more lower profile narrower style boot I would say large. If you have a bigger bulky style boot I would go with XL. Are these compatiblcompatible with my 161 liquid modem board? BEST ANSWER: Yes I have them on a 161 Lib Tech board so it should be no issues at all. Good bindings for the price. Will they fit a K2 access wide board? We have a sims board will these fit on it?? BEST ANSWER: Yes, these will fit on a Sims snowboard. Will these work on a burton blunt board? Hi there! What does "combo" ratchet type mean? I want metallic ratchets. BEST ANSWER: The Head NX One Snowboard Bindings have metallic component ratchets.